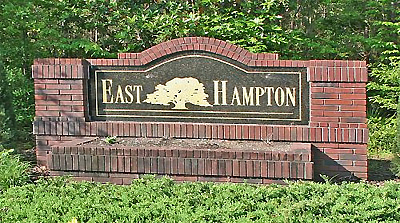 East Hampton Community in Jacksonville, Florida. East Hampton is conveniently located in the popular Jacksonville Baymeadows area. This country club community includes a 900-unit single-family homes built with concrete block construction and equipped with security system and sprinkler system. This community is near major highways and in close proximity to two shopping hubs, entertainment, restaurants and professional offices. East Hampton is an exclusive building project for Pulte Homes and is packed with family recreational amenities including cluhouse, swimming pool, tennis courts, basketball courts, soccer fields, and playground.